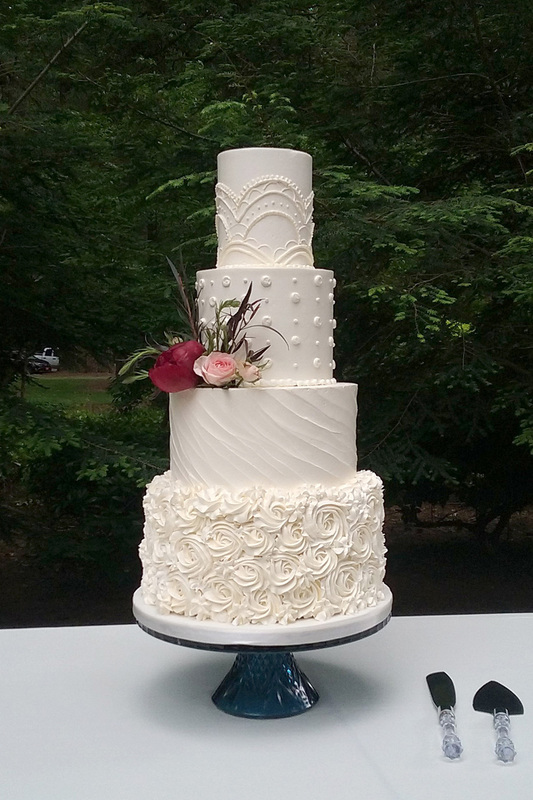 Lux Sucre Desserts is a licensed bakery in the Charbonneau district of Wilsonville, Oregon. 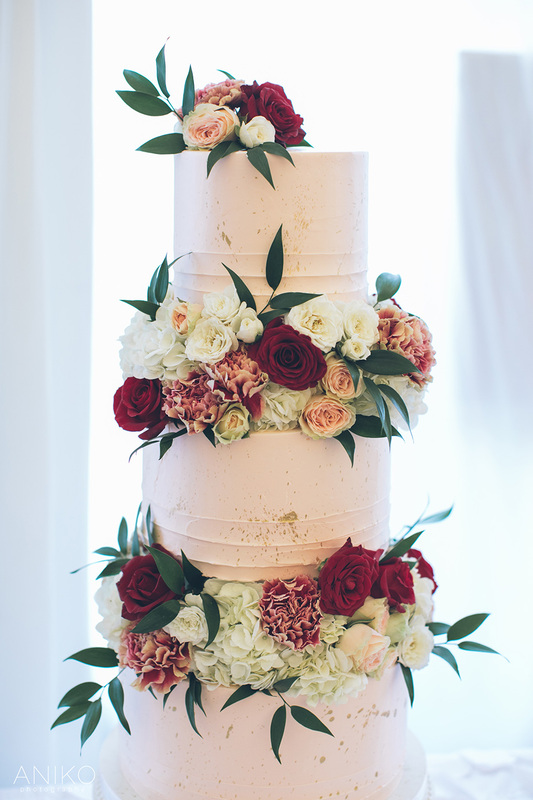 We create high end custom cakes and delectable desserts that taste as wonderful as they look. 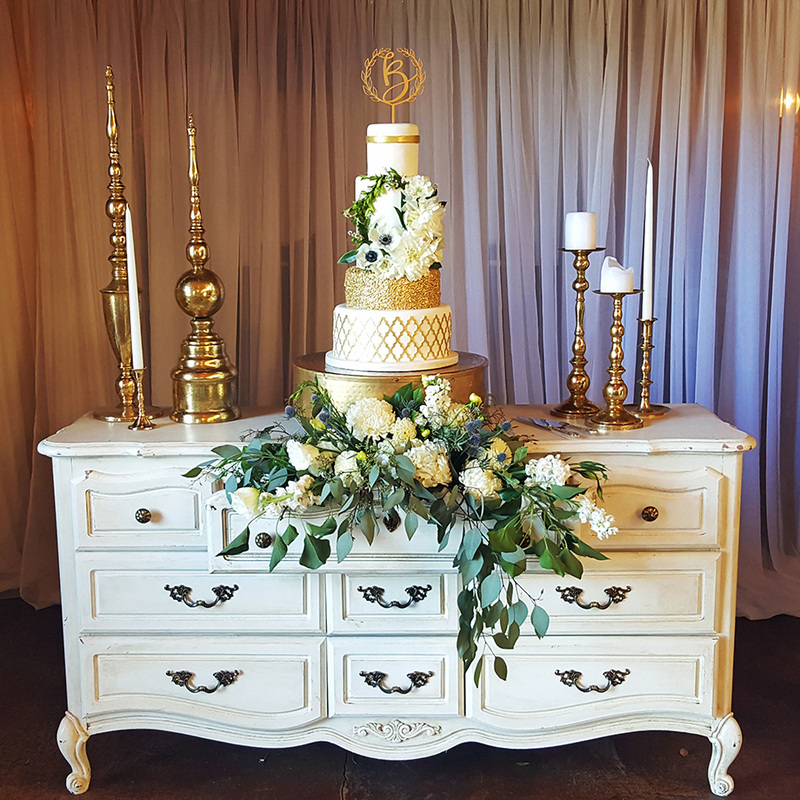 Pastry Chef, Chanelle, Co-Owner with her husband Brandon, started Lux Sucre with a vision of bringing fancy "fit for royalty" desserts to any occasion. 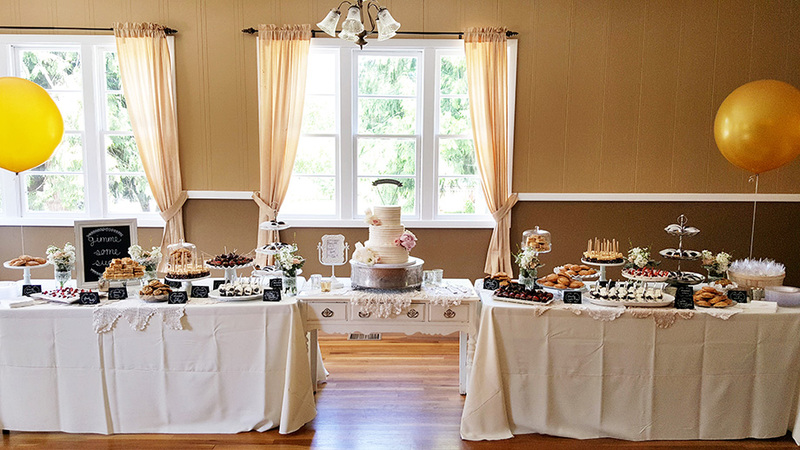 Every cake or dessert buffet creation is completely custom and one of a kind. 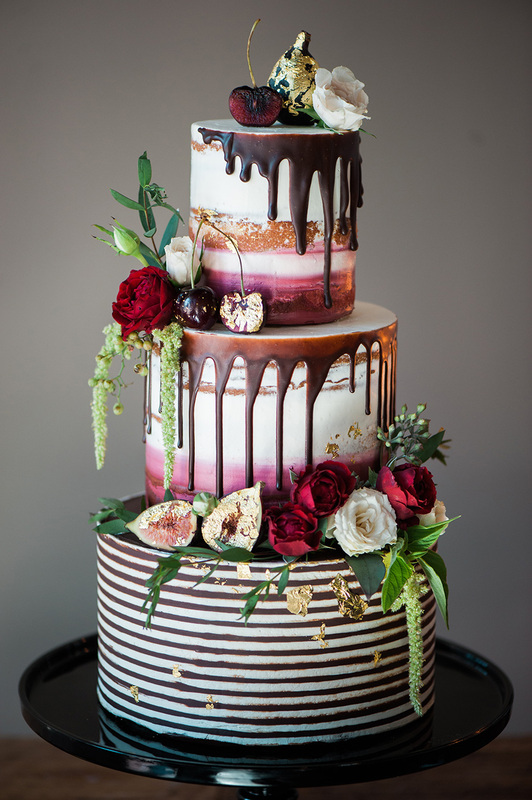 We work closely with our clients to bring their dessert visions to life and work hard to leave a lasting impression. 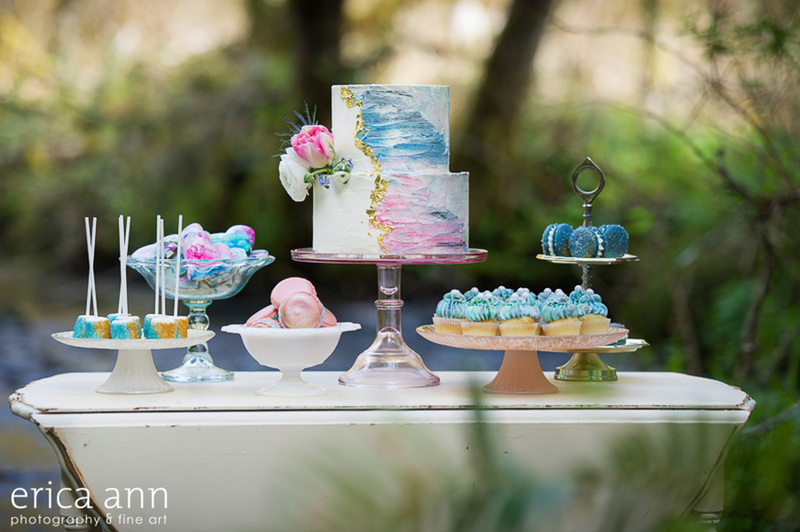 Winner for "Best Custom Cakes: Portland 2017" & "Best New Wedding Vendor: Portland 2017" & Runner up for "Best Desserts: Portland 2016" by Oregon Bride magazine. 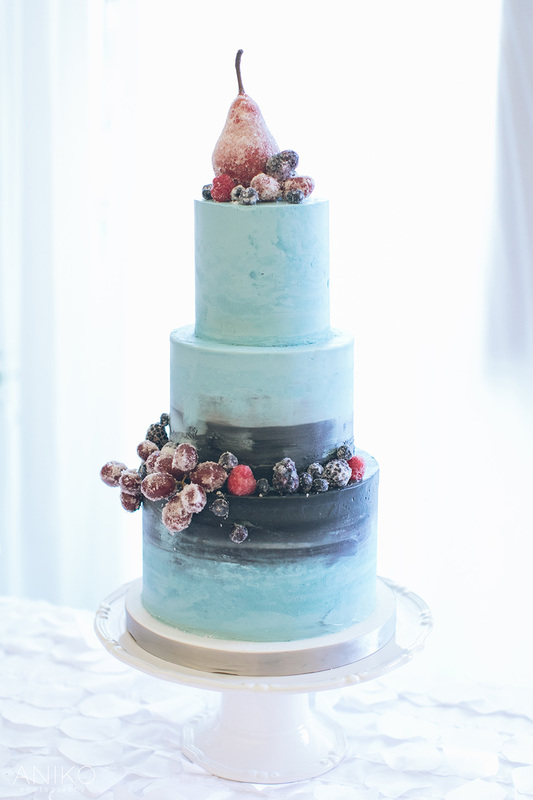 Lux Sucre did the cake for our wedding. It was so beautiful and better then I could have dreamed of. 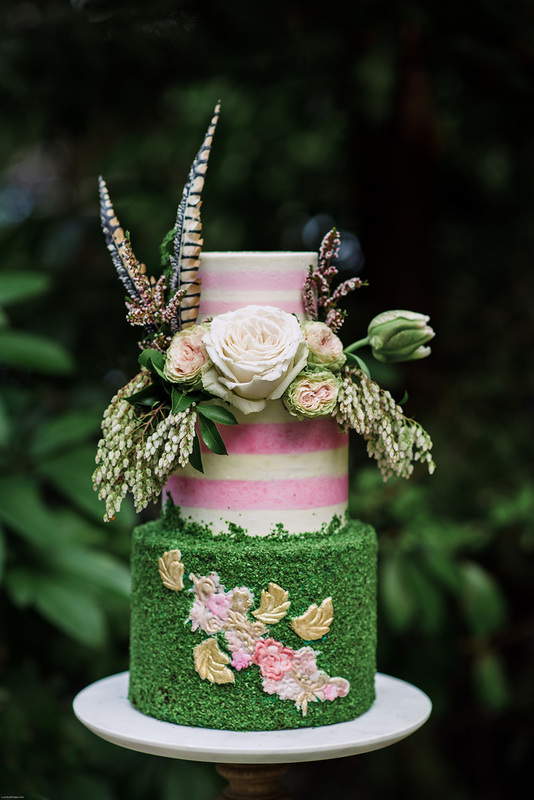 Chanelle was able to create a piece of art as well as a beautiful cake all in one. Thanks again! Absolutely amazing desserts!! 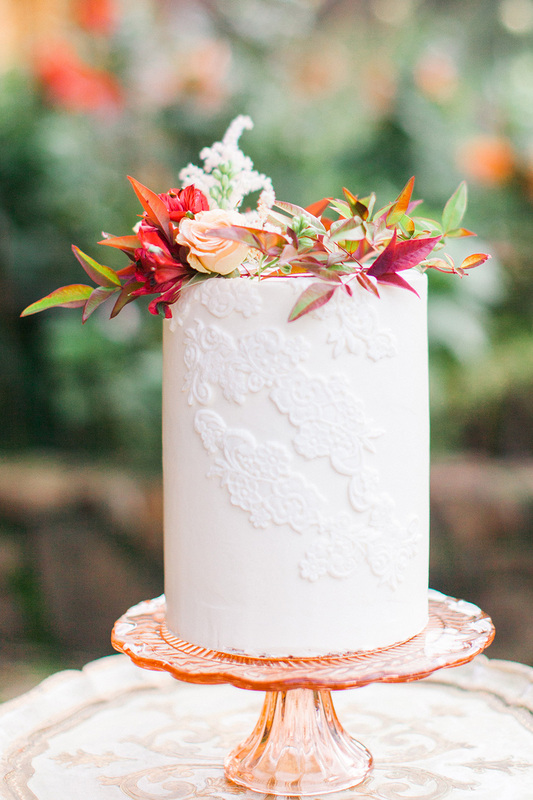 We highly recommend them to anyone looking for desserts in Portland. 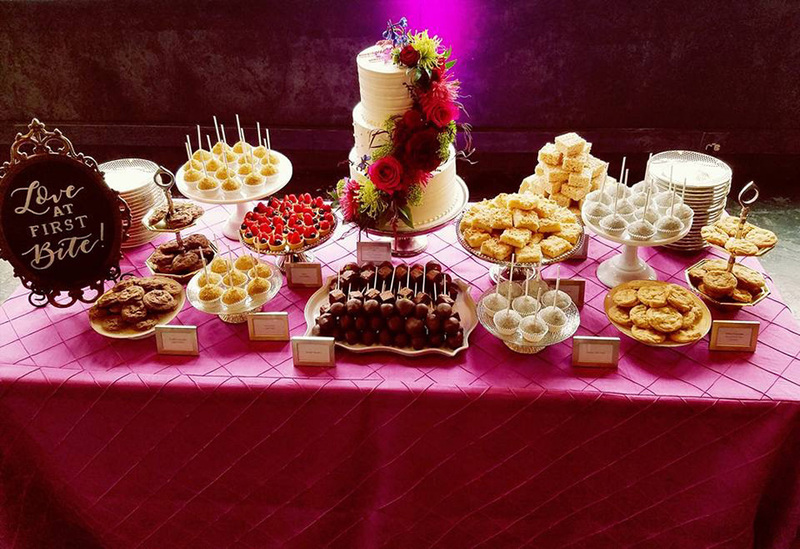 They provided a wonderful spread of bite-sized desserts including cookies, fruit tarts, cake pops, and cake shooters. Everything was gone by the end of the night, they were such a huge hit with all of our wedding guests. 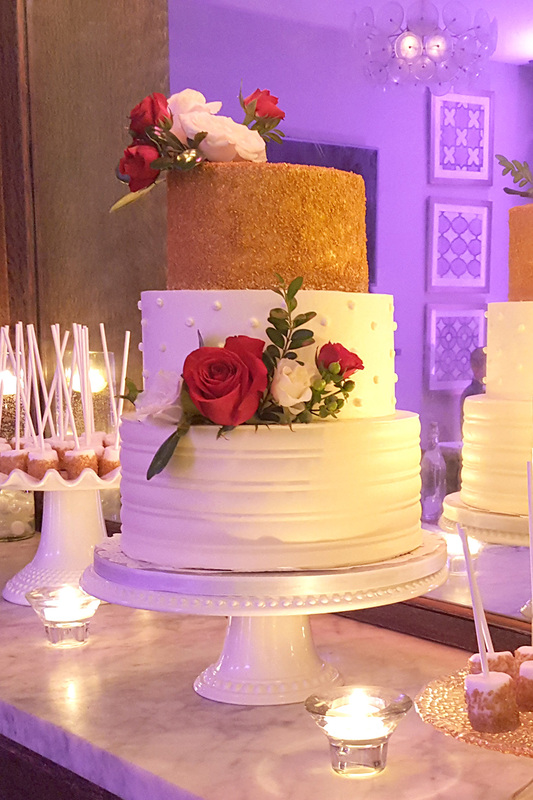 They were timely in their delivery, helped setup and decorate the dessert display and were so easy to work with. We use Lux Sucre for EVERYTHING! Weddings, showers, corporate events. Chanelle is so talented & is able to bring any vision to life. 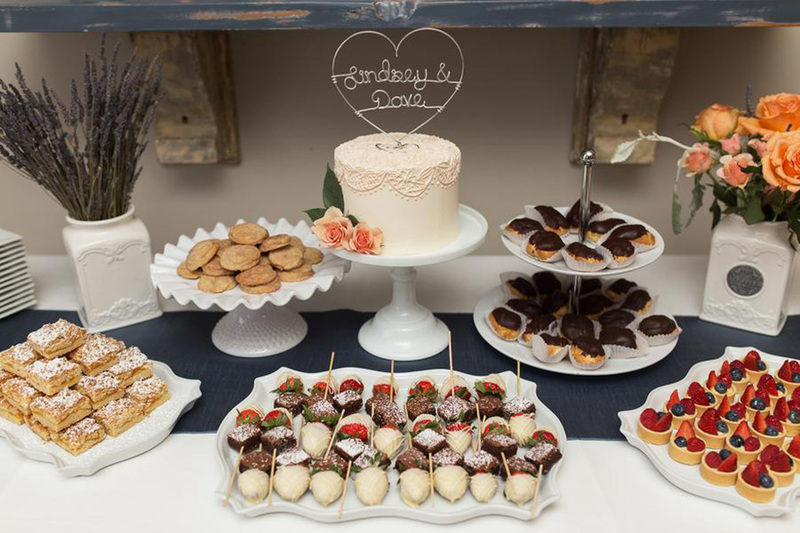 We especially love all the mini dessert options (cake pops, brownies, cookies, rice krispie pops, fruit tarts, etc.) that can be combined to create the most beautiful dessert bars EVER. Brandon & Chanelle are also just a dream to work with - organized, efficient & full of amazing ideas. Lux Sucre is AMAZING!! Brandon and Chanelle are talented, professional and ready to deliver anything you can dream up! Our daughters wedding day was perfect and Lux Sucre was one of the reasons why. 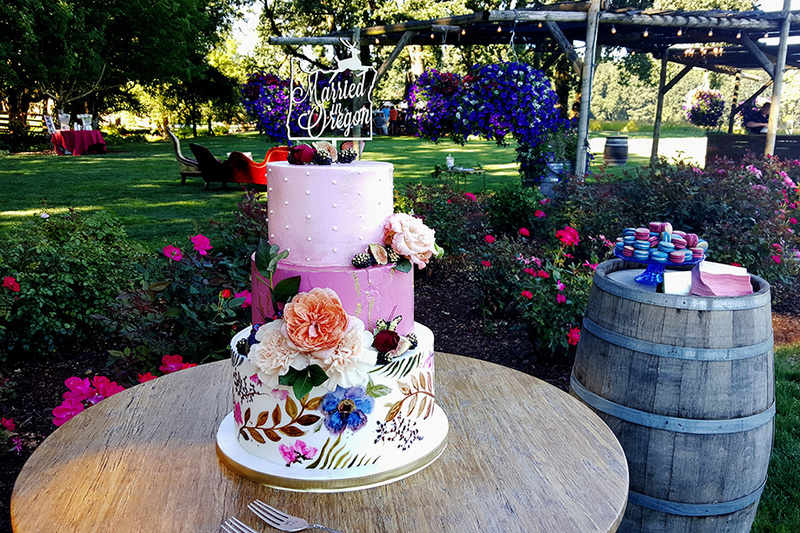 The cake was gorgeous and delicious! They also provided a dessert bar that was beautifully presented and again, DELICIOUS! It was a pleasure working with them at every stage of the process and I look forward to working with them in the future for all of our family's special occasions. I could go on for days about how fabulous everyone is at Lux Sucre Desserts, so I will keep it brief! The tasting was amazing; they offered us a little something from every part of their menu and helped us decide what would be best for our special day. Once we took our first bite of their desserts, we knew they were the vendor for us! 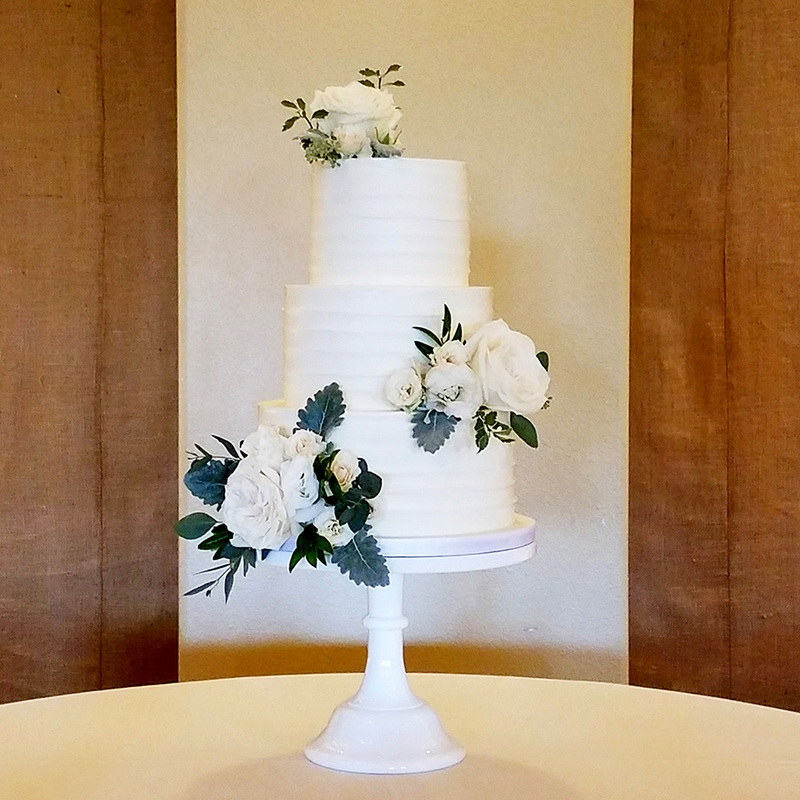 They helped us craft a menu unique to our wedding and our preferences, and were amazing at keeping it within our budget. 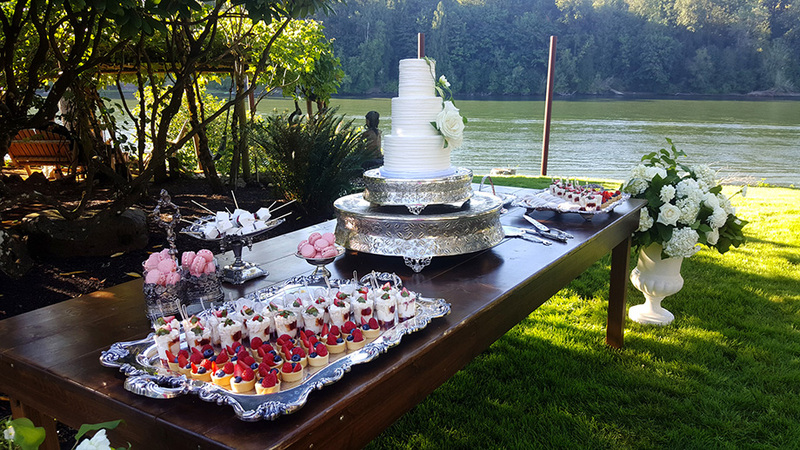 Once our wedding day arrived, they arrived to site on time, set up an absolutely beautiful dessert display, and gave us plenty of yummy treats to keep our guests and us satisfied! 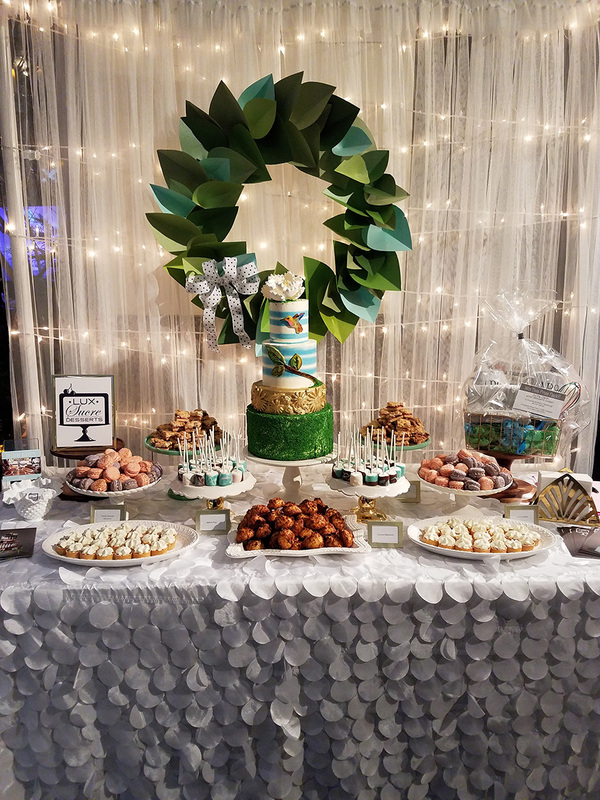 I cannot begin to tell you how many of our guests raved about their chocolate chip cookies and their cake pops! 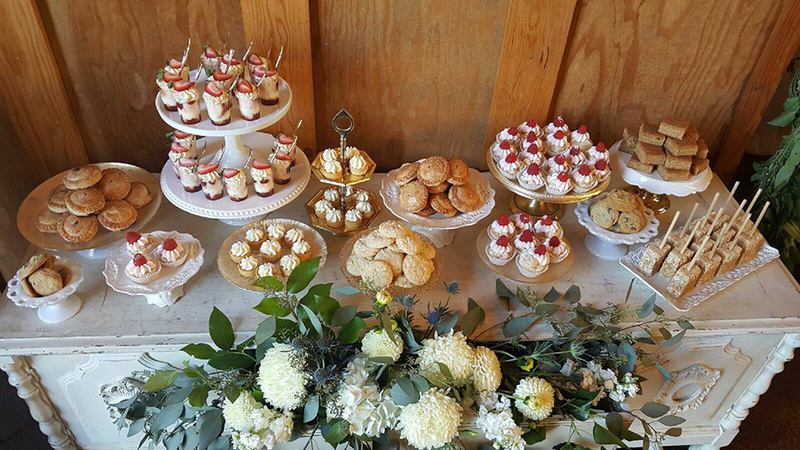 I say this all of the time, but dessert tasting was my favorite part of the wedding planning process, and without a doubt, the desserts at our wedding were one of my favorite parts of the day! Thank you Lux Sucre!! !